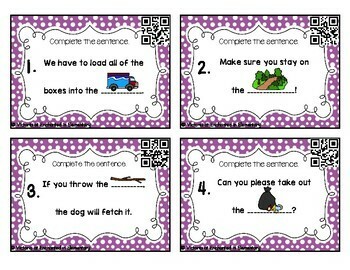 This is a set of 24 QR code task cards designed to help students practice blending of ending digraph words. Students will need to use the picture clues to complete the sentences with an ending digraph word. QR codes are included so that students can check their work. 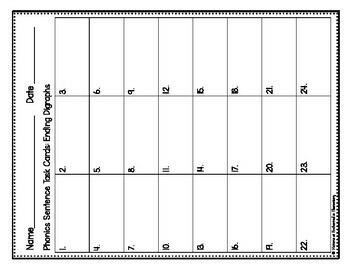 A printable answer key is also included. 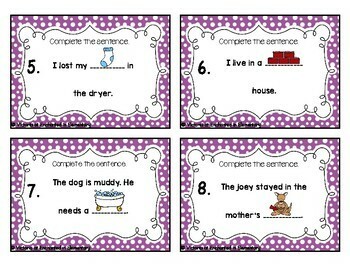 This set is included in my Phonics Sentence Task Cards bundle. 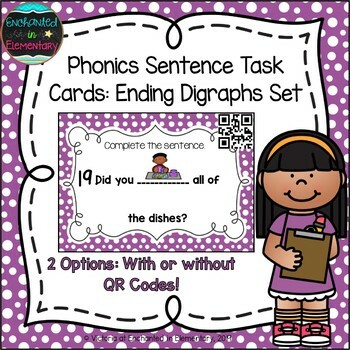 Check out my store for more task cards!